Every year, the IRS requires a report of the value of your IRA assets with a Fair Market Valuation. Valuation of assets in a self-directed account must be provided to your self-directed IRA administrator to ensure proper tax reporting to the IRS. A fair market value is an estimate of the market value of an asset, based on what a knowledgeable, willing, and unpressured buyer would likely pay to a knowledgeable, willing, and unpressured seller. The IRS requires a self-directed IRA administrator such as Entrust to provide the FMV of our clients’ accounts as of Dec. 31 of each year. The valuation is paid for by the IRA and if your account does not have sufficient un-directed cash to cover the cost, you will have to add cash by making an annual contribution, transfer, or roll over funds from another custodian to pay for the valuation. The FMV Form must be provided to your IRA administrator on a yearly basis – due by Jan. 31 – to ensure proper tax reporting. An FMV is also required when you’re taking an in-kind asset distribution, converting an asset and re-characterizing an asset. 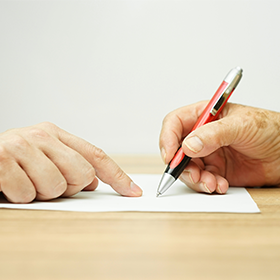 The FMV Form must be signed and dated by both the client and the valuator, if an appraisal is not required. If the appraisal is required, the appraiser does not have to sign the FMV Form. The appraisal report is sufficient. Login to your account and complete the Fair Market Valuation Form from the “Transactions” tab. Please return the FMV/FMVR Form with supporting documentation to Entrust by January 31, 2018. You DO NOT need to take any action if your account(s) exclusively hold Precious Metals or cash. Download the Fair Market Valuation Form here.